Guarantee satisfaction of customers; determine each customer’s vehicle needs by asking questions and listening. 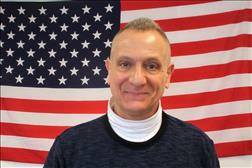 Consulting and guiding customers to the appropriate next step of the sales process. Demonstrate vehicles by explaining characteristics, capabilities and features; taking test drives; comparing and contrasting competitive models; explaining warranties and services. Prepares sold vehicles for delivery prior to customer arrival; deliver vehicles to customers to ensure that the customer understands the vehicle’s operating features, warranty and paperwork, and lay the foundation for customer loyalty. From the moment you step on our lot until the time you drive away in your next vehicle, your buying experience with Big Joes Auto Sales is our number one priority. 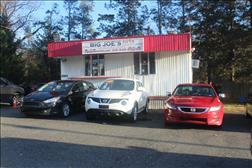 At Big Joe's we have all kind of programs to fit your need of financing. We are here to make your automotive shopping experience exciting and valuable. We encourage you to use the expertise and resources of our sales staff; they are here to help you find the right car at the right price. Call us today at (215)245-5300 to schedule your test drive!